NOVA: Can you tell us a little about yourself? Nick: I grew up in the woods of southwest New Hampshire before setting up camp in New York in 2011. Before photography, I studied outdoor education in Colorado with hopes of becoming a park ranger. My course load looked like something out of a Jon Krakauer novel. Along with all the outdoor orienteering classes, I took a handful of photography electives with a wonderful teacher who taught me the importance of observation and how to see without a camera. As a textbook introvert, I loved this approach and still practice it today. The more I photographed, the less I cared about which river we were running or which couloir we were ascending and as a result, shifted gears in the classroom to be a fine art major. After I graduated, I packed up my tent, Capilene, and compass and traded in for 250 square feet, skinny jeans, and a camera and moved to New York to pursue documentary photography. NOVA: What kind of photography do you make most today? Nick: I’m mostly an interiors photographer. I sort of joke that it’s isolating and quiet and fits my personality perfectly. And furniture doesn’t talk back! 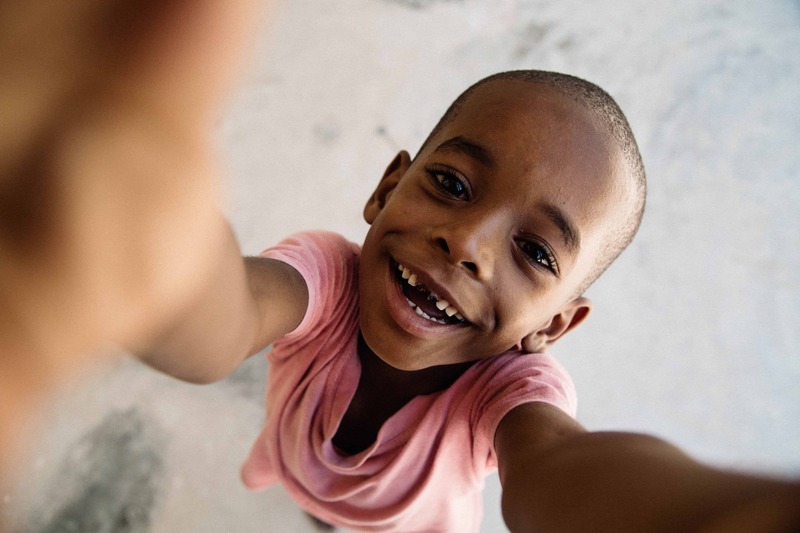 I still shoot portraits from time to time and will always pack a camera when traveling. I don’t have any formal education or training in photography so my real introduction to it was in the mountains of Colorado while exploring. I’ve completely moved in the opposite direction since! A lot of the mentors and local photographers available to me out west were also in the landscape world but that was never satisfying to me. I craved a human component and wanted to tell stories and make images that resonate, really make you look closer at what’s happening. I took an unhealthy obsession and interest in photojournalism and was completely captivated by conflict photography, oddly enough, especially the work of Tim Hetherington and Chris Hondros. Their images were so raw and transformative yet so polished and composed. They generated so much emotion. The first time I got to travel and make a similar kind of documentary work was in Haiti in 2013. My sister is a nurse practitioner and had been to Haiti several times with a team for medical relief, her first mission being shortly after the earthquake in 2010. When she returned the first time, she spoke of a wonderfully fulfilling and positive experience and I loved flipping through her snapshots. I was just a hobbyist photographer then and said that if she ever had the chance to go back, I would love to contribute. 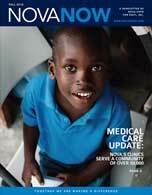 We traveled together in 2013 with the Cheshire Medical Center out of Keene, New Hampshire. NOVA: How did you first come to learn about NOVA and what inspired you to get involved? 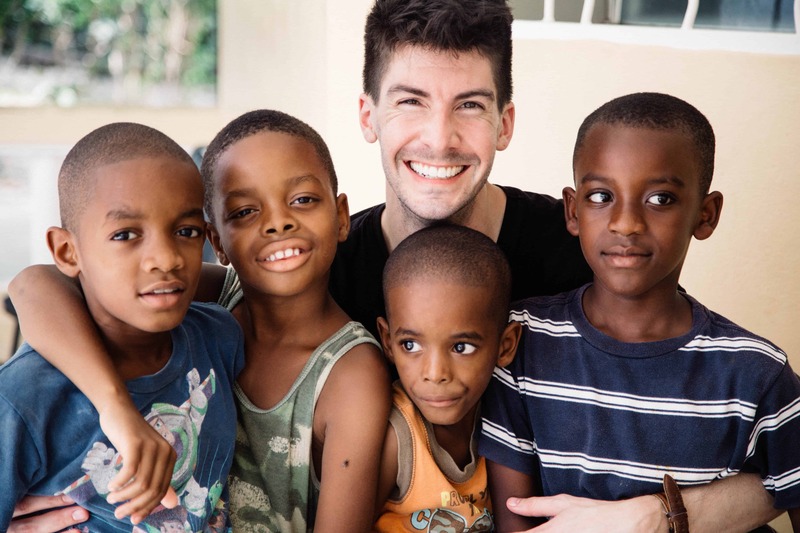 Nick: A fellow NOVA volunteer and friend of mine, Jason Syptak, had seen my images of Haiti and had been encouraging me to partake in a mission since. He spoke so highly of NOVA and as a creative himself, was always sharing images and motion projects he had worked on. Up until January of this year, I had been working full-time or on contracts with various companies and was never able to find the time to travel. I stepped out on my own this winter and was more open to volunteering and happened to be available in April for the most recent mission. I craved a human component and wanted to tell stories and make images that resonate, really make you look closer at what’s happening. It had been five years since I had been to Haiti and was excited to contribute to an organization that was very clearly giving back but I also knew we’d spend some time in Port-au-Prince and was interested to see the progress the country has made in that time. 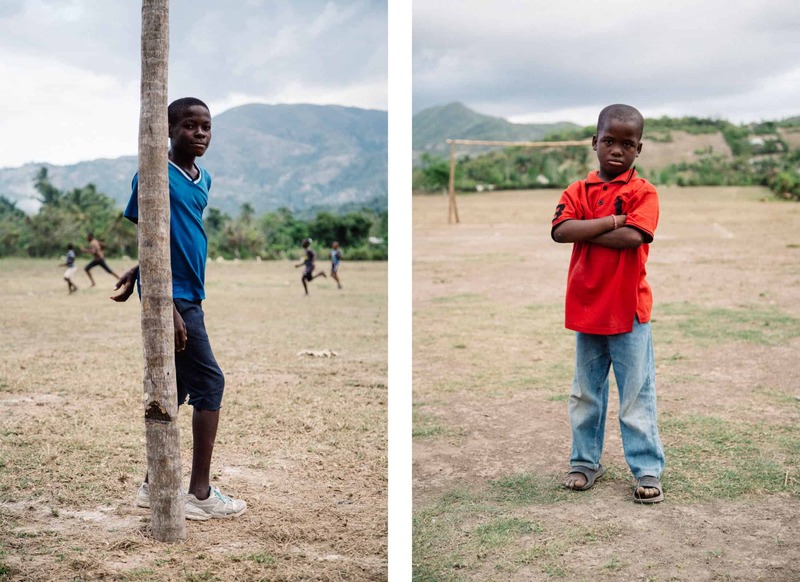 Making similar work in Haiti in 2013 was one of the first times that being behind a camera felt right and it didn’t take much convincing to have the opportunity to reignite that feeling. NOVA: What volunteer roles have you taken on? Nick: On my first mission, and having no medical background, I was tapped to work with the translators in registration. Patients would sit with me and I’d ask for general information before directing them to the providers who took over and finished the examination. We didn’t have an actual clinic to work from so each day we traveled to a chosen church or village and set up a mobile unit and pharmacy. We would see as many patients as we could and when the line stalled, I would photograph. I think the unfamiliarity of who I was and what I was doing was minimized when I got to show people not only what the camera does but how they looked in a way they may have never seen before. As NOVA already employs all these working parts, my job on this mission was simply to make photographs. It was a completely different experience. 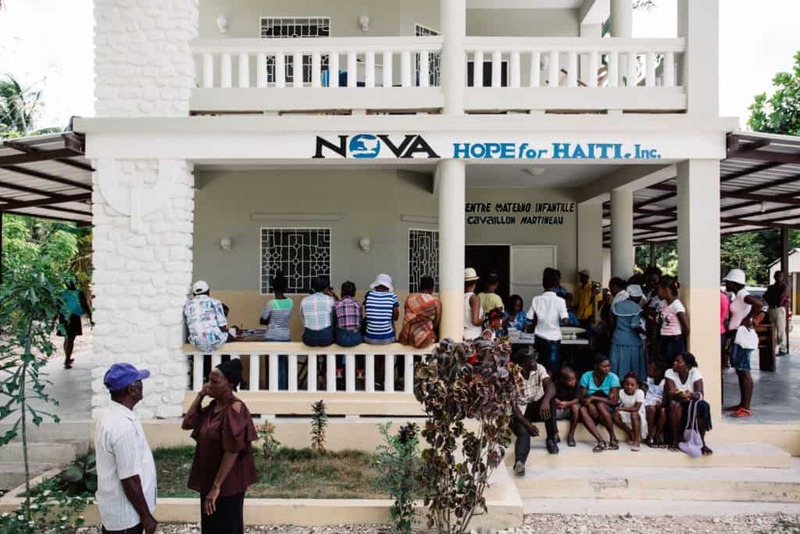 I was able to meet with the patients, Haitian staff, and get to know the volunteers all while making my way around the clinic, observing the registration process, interactions between the providers and patients, and learn about the community of Cavaillon and the impact NOVA has on it. NOVA: Describe your approach to photographing a mission trip like this. Nick: I struggled with this in 2013 and it took me a day or two to find a rhythm in Cavaillon. 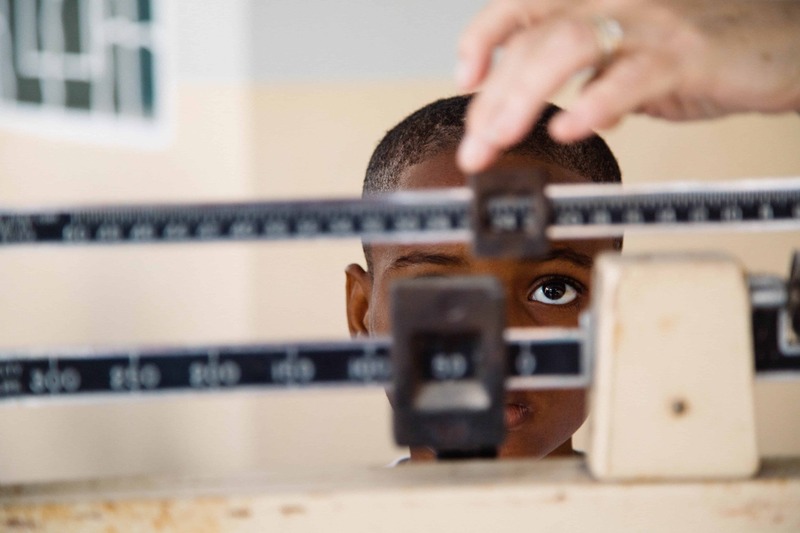 I’m a 6’4” white guy who doesn’t speak the language, toting a huge camera at my hip and snapping pictures of people visiting the clinic for medical treatment. It goes without saying that even when paired with a name like NOVA and surrounded by volunteer medical providers, I’m hit with a bit of resistance. Taking pictures certainly wasn’t always welcome. I wanted to respect the privacy of the patients as well as acknowledge that I was a visitor. I always started the day without my camera and made my rounds, assigning myself little tasks and checking in with the providers setting up for the day, bringing water or coffee for anyone who needed it. I also made a point to warm up to the kids and thought that if I could win their trust, the adults would follow. Once I brought the camera out, it was just a matter of connecting with one person, asking for a photo, and then showing them the display screen. I think the unfamiliarity of who I was and what I was doing was minimized when I got to show people not only what the camera does but how they looked in a way they may have never seen before. Establishing that connection was pivotal for winning over other onlookers. 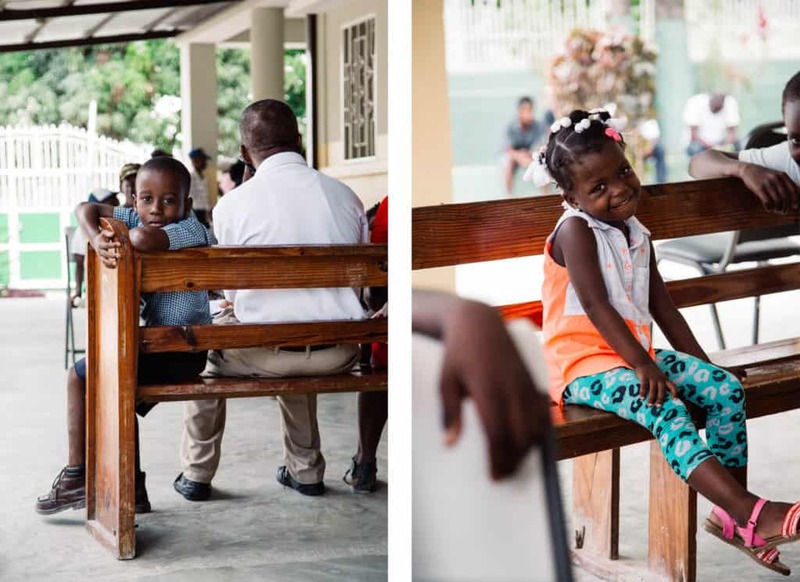 The more comfortable people were with my presence, the easier it was to make images that were less from the perimeter as an observer and more from the perspective of what it was like to be in the rush of the clinic. 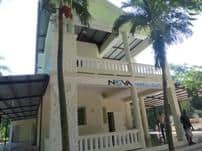 And that was really important to me when considering the use of these images to help NOVA gain further recognition with more volunteers, aid, and awareness in the future. 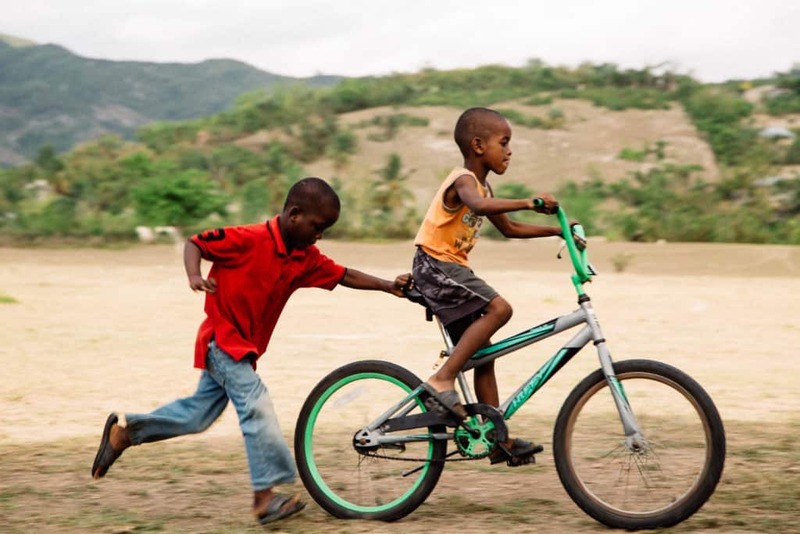 Having only the responsibility of photographing also allowed me to get involved with the community activities. I loved playing soccer with the boys and quickly learned my place when they all laughed at my pale winter body in a shirts versus skins match. They ran circles around me! But I got several players’ portraits which were some of my favorite images from the mission. Photography has always been sensory for me, trying to pull in as much atmosphere and feeling as I can. My goal has always been to make work that transports an audience. NOVA: How do you find creativity in a place like Cavaillon? Nick: I’m the type of person that craves unfamiliar territory and new locations to keep my creativity alive so experiencing Cavaillon felt like an endless landscape of inspiration. I let scenes unfold naturally and tried to photograph unobtrusively before intervening. When it comes to my approach, I’m more of the minimal mindset, keeping my setup as simple as possible so that I can capture real moments and try my best to take what I’m seeing and put it into the camera. In this industry, especially today, there are so many different means to making certain kinds of pictures: studios, lights, post-processing, budgets. I’ve never been interested in that production-level of photography. I’ve worked on sets for big clients where the photographer was highlighted by $50K of production and what was happening around me didn’t feel like photography anymore. It felt void of personality and perspective. Photography has always been sensory for me, trying to pull in as much atmosphere and feeling as I can. My goal has always been to make work that transports an audience. NOVA: What was one of your favorite memories on this mission? Nick: I was fortunate enough to meet Jethro who lives with his family just down the road from the clinic. We first met when he came in for a dental exam and we took a liking to one another. I saw him daily whether he was in to be seen by a provider or just attending one of NOVA’s many nightly activities. Once we learned Jethro required a rather large surgery, Jason and I wanted to follow him a little closer and highlight his transformation. 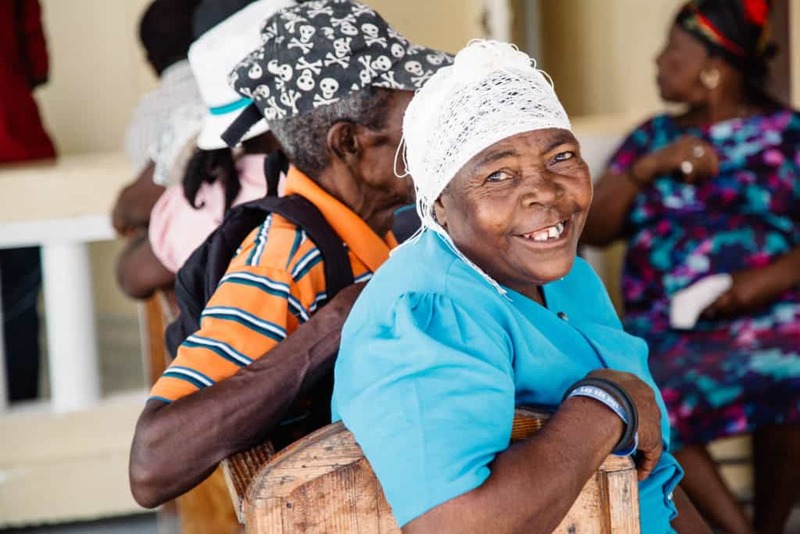 We went to Jethro’s home and sat down with the family for an interview and while Jason asked questions with the help of one of our volunteer nurses and translators, Tamara, I stayed off to the side and snapped some images. Near the end, Jason asked who the silliest of the family was and everyone started pointing to Jethro’s brother, Gabens. I got really emotional during this, watching this family share their story and gratitude for NOVA and how unbroken their spirit is. This image could easily sum up my experience and just what NOVA does for its community. NOVA: What would you say to others who are thinking about getting involved as a NOVA volunteer? Nick: Do it! The NOVA family is unbelievably supportive, loving, and fun and I’m so thankful to have shared in this experience and truly hope to join their efforts again. 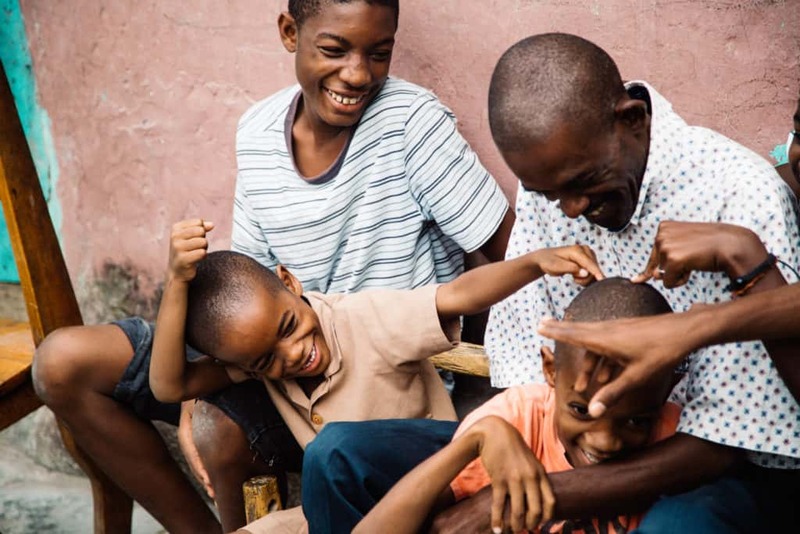 I feel incredibly grateful to the team and the people of Haiti who welcomed me into their lives to document the strength and transformation of such a beautiful country. 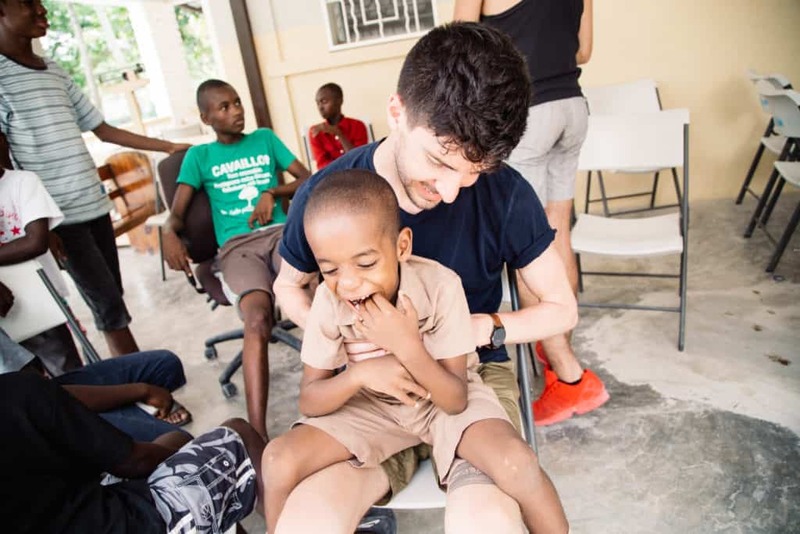 To see more of Nick’s photos from his trip to Haiti with NOVA, please visit nickglimenakis.com.